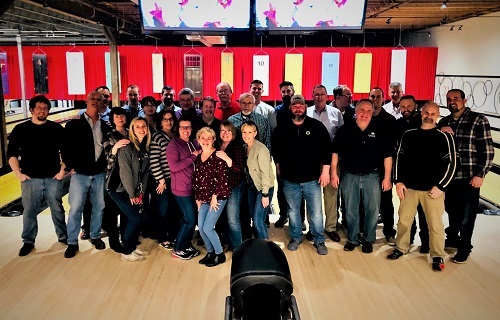 We took advantage of having the majority of our team together for our Annual Meeting this year, and held our 1st Quarter Employee Appreciation Event at a local bowling alley the evening before. It’s important to us to give our hard working staff a chance to relax together and build comradery. We enjoyed some healthy competition, food and beverages, and the chance to kick back together in the lanes. The winning team was Scott Kidder, Luke Provost, and Barclay Scheick. What a fun night!